As a new member of the Research Department, Anne is investigating factors related to adverse patient safety events on the night shift and leading a national study focusing on opioid use disorder prevention for nurses. Anne’s primary goal is developing evidence-based research to improve patient safety and quality of care. 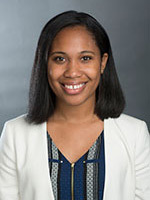 Anne earned her PhD in Disability Studies from the University of Illinois at Chicago and an MS in Human Resources Management from La Roche College in Pittsburgh, PA. Before joining the team at NCSBN, Anne conducted health care quality measurement research at the National Committee for Quality Assurance as the 2017-2018 Phyllis Torda Health Care Quality Memorial Fellow. 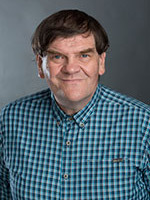 Brendan joined the Research Department in May 2018. He is an experienced researcher with more than 10 years in quantitative modeling and consulting. 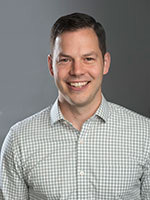 As principal investigator, Brendan is currently working to aggregate data from the National Hospital Ambulatory Medical Care Survey (NHAMCS) to examine issues of health care access and utilization by comparing national practice patterns of Advanced Practice Registered Nurses (APRN) to physicians. Brendan is also leading additional projects focusing on mental health providers, Advanced Practice Registered Nurse (APRN) workforce trends, and Canadian facility protocol for reporting nurse involvement in adverse events. Future projects include a deeper examination of Medicare Part A and B claims and state-level all-payer claims databases to assess how state variations in scope of practice regulations enable or restrict APRN practice patterns across the U.S. Recent studies published in the Journal of Nursing Regulation include national surveys on barriers to adverse event reporting across the U.S., and APRN practice restrictions associated with Collaborative Practice Agreements. Kyrani joined the Research Department in May 2017. Kyrani earned a Master of Arts in Public Policy and Administration from Northwestern University. Kyrani has more than four years’ experience working for non-profit organizations with a focus on research and project development. 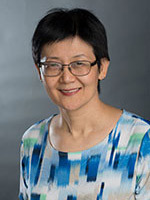 In addition to supporting the Research Department’s ongoing activities, she is involved with several projects. The Global Regulatory Atlas will be the first comprehensive resource of nursing regulation around the world. She is also conducting a study using a bibliometric analysis of articles published by various regulatory bodies. Lastly, Kyrani is examining the ways in which collaborative practice agreements may restrict care for nurses working in women's health. Richard has been a member of the Research Department for 17 years. Richard earned a Master of Science in Statistics from the University of Chicago and a Master of Arts in Demography from Georgetown University. One of Richard’s most notable research contributions is the landmark NCSBN National Simulation Study which explored the role and outcomes of simulation in pre-licensure clinical nursing education. Currently, Richard is leading the following national studies: National Nursing Workforce Survey, Simulation Use in Undergraduate Education: A Follow-Up Study and Outcomes of Nurse Monitoring Programs. In the future, he hopes to conduct research on changes to state regulation regarding the use of simulation. Elizabeth has been a member of the Research Department for 13 years. Elizabeth earned a PhD and an MEd in Research Methodology from the Loyola University of Chicago. Her focus for the past few years has been on nurse discipline. One of Elizabeth's main roles is to lead the data collection and analysis of NCSBN's Practice Error and Risk Factors (TERCAP) database. Another project headed by Elizabeth is a cohort study of nurses disciplined by boards of nursing for criminal convictions during 2012-2013. By analyzing data from TERCAP and other databases, Elizabeth hopes to develop deeper insight into what causes nursing practice errors, and how the incidence of such errors could be reduced. Currently, Elizabeth has been conducting nurse license compact (NLC) surveys and analyzing the economic impact of adopting the NLC on boards of nursing.